When we take a quick look at influencers it can be easy to underestimate their worth. What can look like simple, effortless internet posting is the result of time spent building online communities with a respected reputation and trust. And we don’t call them influencers for nothing. The effect they can have on their online followings are not unsubstantial. So what do they want in return? Businesses generate $6.50 for every $1 spent on influencer marketing, according to a poll of marketing professionals conducted by Tomoson. Clearly influencer marketing is an effective marketing strategy. But according to a study by Grouphigh that surveyed 5000 influencers, 50% reported feeling that they were not being valued or fairly compensated by brands. Most influencers want to be paid in exchange for their work, and they prove to be worth every penny. 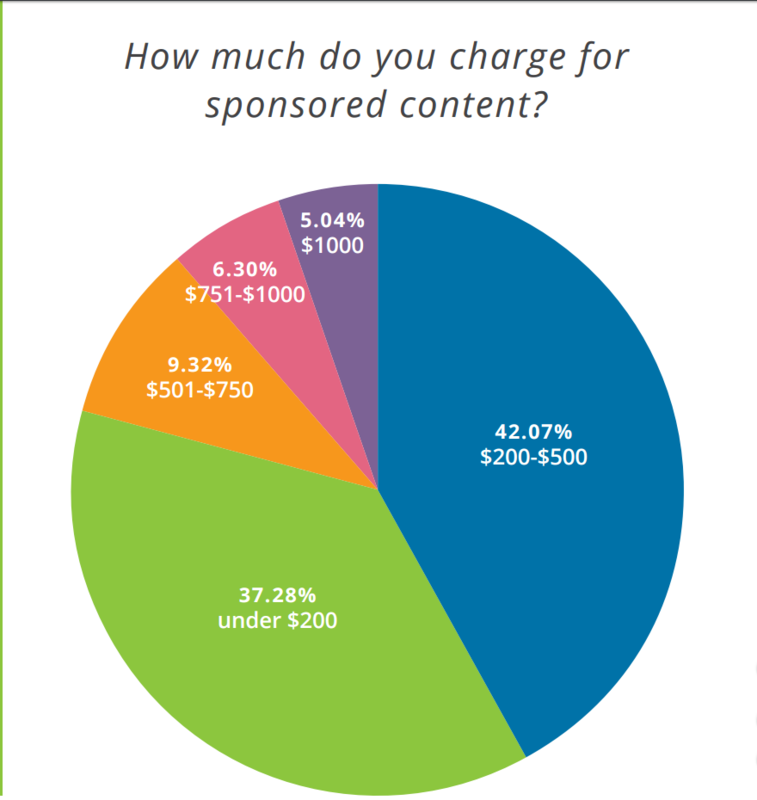 The rate that influencers charge per post can vary, most mid-level influencers charge an average of $200 to $500 for each of their posts. Influencers know that they can help you and deserve to be fairly compensated for their efforts. Most influencers don’t believe that paid or sponsored posts lose any of the trust in their audiences when it comes to recommendations so influencers hold lots of power. Influencers know their audience. They’ve spent time and energy building a relationship to them and often have create insights on how to best incorporate products into their content. Influencers may be willing to promote your brand but not at the expense of their own control of content. 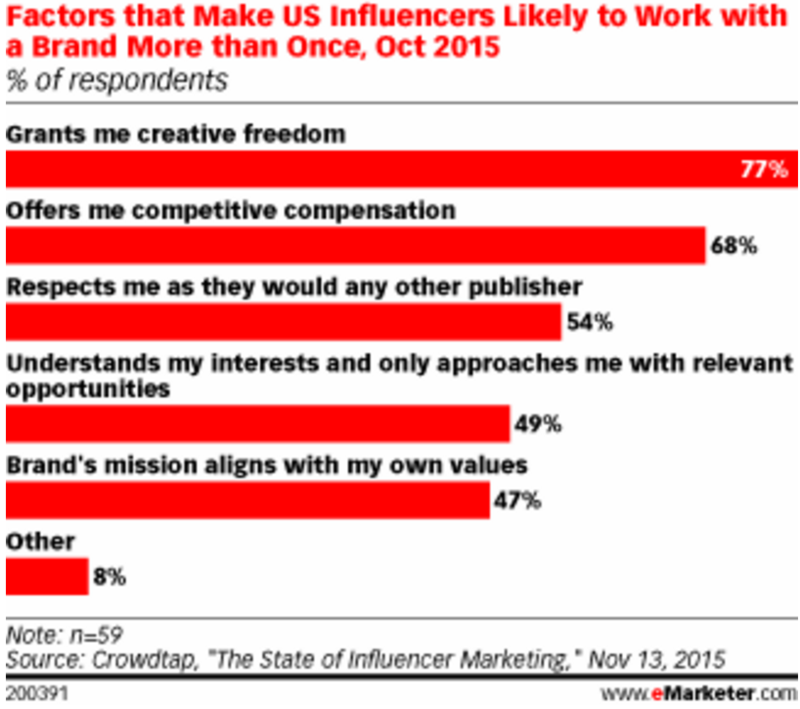 In fact, many influencers appreciate creative freedom even more than they care about monetary compensation. I know this is easier said than done. 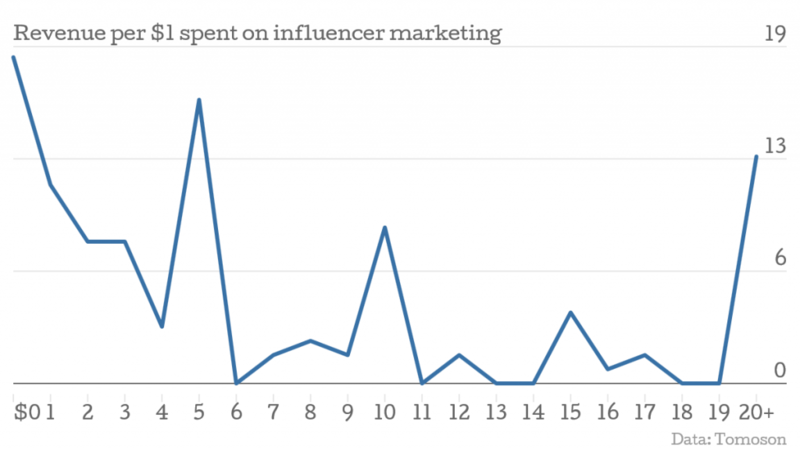 It may be tempting to create a marketing plan for influencer marketing as a whole—don’t. This marketing strategy allows for a more personalized touch. Plans need to be tailored to fit each influencer, not the other way around, if you really want influencers to have the best impact on their audiences. Influencers may be able to work for you, but don’t be afraid to work with them. Always keep communication lines and potential for collaborative brainstorming open. Influencers may appreciate their own creative outlets, but feel free to get involved and jump start the process.